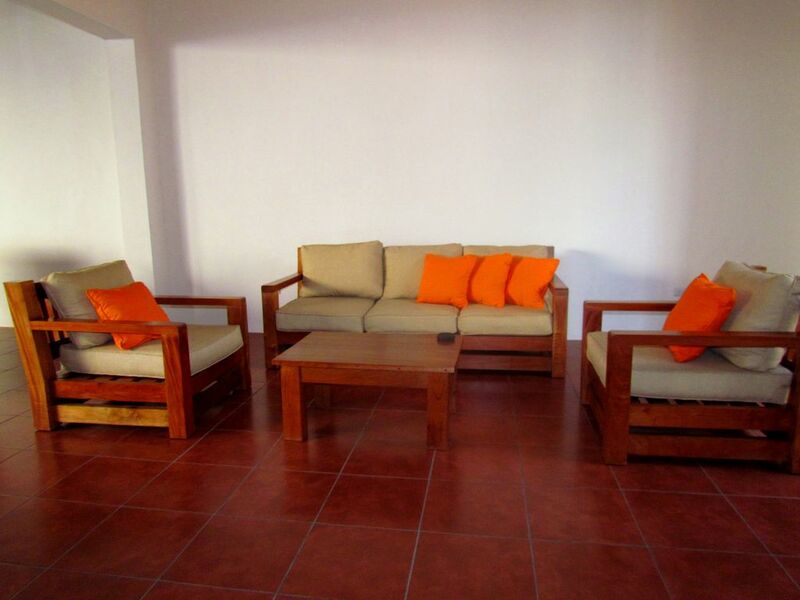 Casa Isabella is a newly remodeled two bedroom home located within walking distance to the center of town. This home is uniquely colonial with beautiful use of hardwood throughout the home. At the same time, the home is very modern with clean lines. The user-friendly patio, which has a dipping pool, BBQ grill, and sitting area, makes this home a great retreat for friends and family. The living area is simple, yet comfortable with clean lines and good lighting. Just past the living area, the house opens into a typical colonial style open air corridor. A cozy sitting area will be on your left, while a dining area that comfortably sits eight is will be on your right. The kitchen, the heart of the Casa Isabella, is indeed the center of the home and faces the patio. The kitchen is fully equipped with state-of-the-art appliances and everything you need to prepare all of your meals. Just across from the kitchen you will find another full bathroom with custom tile and fixtures. One of the most unique concepts of the Colonial architecture is the open air gardens and patios in each home. Casa Isabella has taken advantage of this concept with a sparkling dipping pool and a great area for barbecuing so you can enjoy the great outdoors in the comfort of your home. Casa Isabella has two sunny bedrooms; one with a king bed and the other with two queen beds. The bedrooms share a large bathroom with a walk-in shower. The bedrooms are air conditioned and each bedroom has a flat screen TV. Casa Isabella is the perfect home for your time in Granada, as it is close to the central park as well as the number one tourist area, Calle La Calzada. Enjoy a cool swim after a day of touring, and enjoy a short walk to anyplace you would like to visit in Granada. As in most colonial homes, the pool is located in the center of the house in the open air garden.